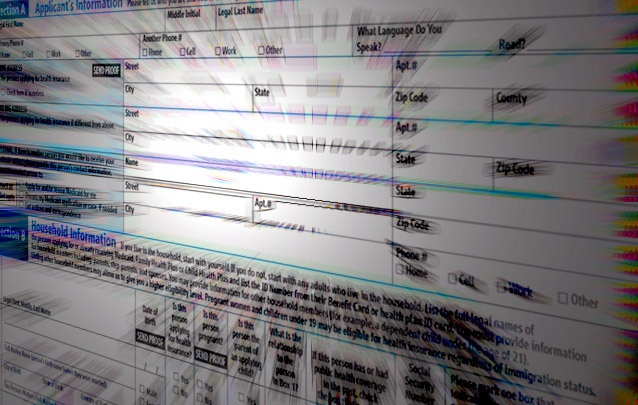 Medicaid applications are far less straightforward than most consumers hope. Understanding how to complete these documents correctly can mean the difference between getting coverage and missing out on a prime opportunity to obtain affordable health care. It is also important for applicants to have a clear knowledge of their coverage needs and the best strategies for protecting their existing assets. Following is everything you've ever wanted to know about Medicaid applications along with several, helpful tips on how to complete these applications correctly. Medicaid is a government-subsidized program that assists the underprivileged with medical bills. It can limit or even eliminate the costs of in-office visits, emergency treatments and prescription drugs. While it is most commonly used by senior citizens or people 65 years of age and older, it is also accessible to pregnant women and small children if these individuals lack the financial means to access coverage on their own. For each demographic that is accommodated by the Medicaid program, there are set income limits according to the number of people in the household and the average cost of living in the areas in which applicants are submitting their Medicaid applications. Income limits are set on a state by state basis and not all states have income limits in place. If an applicant earns above the spending limit for his or her household size and average living costs, this person may still have the ability to qualify for this coverage due to the Medicaid Spend-Down rule. The Medicaid Spend-Down rule accounts for justified, above-average medical costs that make ongoing access to acceptable health coverage unfeasible. If you want to appeal a Medicaid application decision based upon the Spend-Down rule, you will need to supply evidence of ongoing expenses that offset your income relative to the amount that you earn over the established spending limit. The living costs that will have the greatest bearing on whether or not you qualify for coverage under the Medicaid Spend-Down rule are your medical expenses. Due to this fact, you should collect all of your current medical bills, receipts for prescriptions and any documentation showing monies charged or paid for home health care, medical equipment that is classified as durable, special transportation for medical services and even spending on over the counter medications. The better that you document these expenses, the greater your chances of qualifying will invariably be. It is important to note that people with high-value personal assets will need to exhaust these things before submitting their Medicaid applications. Government-issued coverage of this type is solely reserved for people who lack liquid capital and salable assets that can be used for the purpose of funding their health care. Thus, although you might have a fairly nominal monthly or yearly income, you may have too much value in the form of assets that can be sold or overage leveraged for paying medical fees. Medicaid is able to consider your income and asset history for up to five years or 60 full months. There are, however, instances in which it is perfectly acceptable to transfer assets in order to "spend down" and achieve eligibility for Medicaid. It is vital to note that an applicant must never transfer assets solely for the purpose of qualifying as this could result in a penalty, an application denial and the inability to qualify for this coverage for a set period of time. There must be specific benefits gained from a transfer by either the individual who is transferring the assets in question or the person who is receiving them. Given that this process can be confusing and the related mistakes can have considerable consequences, it is important for aging adults and other Medicaid applicants to seek the advice of a legal professional before making any major decisions concerning the ownership of their assets. These are made for some other reason apart from the desire to obtain Medicaid eligibility. They are transferred to a third-party or current spouse for the sole benefit of this individual. The transfers are made to a disabled person or to establish a trust for a disabled person. The transfer is made by the applicant's spouse to a third-party for his or her benefit. People who intend to submit Medicaid applications will have the best opportunity to gain an approval by planning early and taking actions concerning their assets in advance of this process. If you are living with a chronic or degenerative illness and know that your medical needs and expenses are likely to undergo significant increases in future years, talking with an attorney is advised. This professional will likely suggest the creation of a trust for assets prior to the five-year or 60-month look-back period. It is important to determine whether or not you live in a state that has enforced income caps. Understanding what the income limits for eligibility are in your area is a vital part of planning for the application process. People who live in income cap states may be able to save more of their income by setting up income trusts well in advance of submitting their Medicaid applications. It is additionally vital to determine which assets will be counted in your state and which of these will be overlooked. This tool has been in use for a long time to protect the disabled, especially those who are not capable of managing their own affairs due to their condition. Its basis is embedded in years of case law. However, it wasn't until 1993 when supplemental needs trusts gained official recognition in Congress. The Omnibus Budget and Reconciliation Act of that year contained amendments that stated the scope and limits of the trust. The act also contained its nature and definition, the benefits that can be gained by the beneficiary, and the implementing rules that must be strictly followed by all. Persons with disability will usually enjoy a measure of support from the government as part of its social projects. This legal document is meant to give supplemental care above what the federal and state benefits can provide. Rarely will the government be able to shoulder 100% of the individual's needs so it is the job of the trust to step in and close the gaps. Setting one up for a loved one is ensuring that he or she will have nothing to worry about in terms of health and treatments if Medicaid falls short. The funds also allow spending for vacations and other forms of entertainment for a vibrant life. Some people question the need for drafting this document when they could use other forms of trust or simply rely on their family's vast resources. It should be emphasized that the disabled have specific requirements that other legal tools cannot provide. Only this allows a sizable amount of assets to be held for an individual without taking away the possibility of receiving government benefits. Whatever happens to the family, the loved one will have guaranteed financial security. The funds will also enjoy shielding from any seizures or creditor payments. Even if the beneficiary is sued in the future and forced to pay for damages, the funds will be intact. It is important to note that this type of legal remedy is a crucial aspect of long-term care planning, and must be accomplished prior to the beneficiary's 65th birthday. It can be created early in life if a child manifests disabilities and parents want to provide financial protection right away. The wording must be carefully constructed to ensure that the person receives the full protection offered by the law. It must explicitly state that the trust is not for basic support but is actually for supplemental and extra care beyond what the government can give. The Crummey clause estate tax provision should not be included. A reference to the law which covers it must be present. Due to the technical nature of the document, it is best to hire an attorney that specializes in this field of law. This would ensure that all of the requirements are met such that the trust can pass even the most thorough scrutiny. Grantors will be able to have peace of mind knowing that their beneficiary's needs are going to be covered henceforth. The lawyer will be an excellent resource if you need any parts of the special needs trusts explained be it the coverage, procedure, implementation, or other important aspects. What Does A Probate Litigation Attorney Do? Photo provided courtesy of the Law of Office of Donald D. Vanarelli. We all know that life can get messy and requires forethought and planning. However, we do not often stop to think that death can be messy too, and needs to be planned for. Perhaps it is our desire to not think about the finality of life, or a simple naivety that keeps us from planning for our deaths. Either way, by not planning for the inevitable, we can leave those we love in quite a predicament, possibly even feuding. When someone close to you dies and there are disputes and questions over money or property, or a large estate with many assets to sort out, you may need to hire a probate litigation attorney. Death can bring many changes, heartaches, and a lifetime of grief. However, not many people stop to think about the logistics death can bring. There are income taxes, debts, bank accounts, mortgages, estates, and many other logistical aspects to iron out after someone has passed on. If you haven't had someone close to you die, you are probably unfamiliar with probate and the role of a probate litigation attorney. In order to understand what the role of a probate lawyer is, you must first understand that probate is the process of distributing assets and paying off debts of a deceased person. This process must happen with every deceased individual's estate, regardless of whether or not they had a will. A probate lawyer helps tremendously in this process. Depending on the estate and affairs of the deceased family member or friend, probate law can be simple and quick, or it can be more complicated and more of a process to be worked through. The more debts or assets a deceased person had, the more time consuming and complicated this process can be. Probate litigation deals with legal disputes regarding aging, death, and disabilities. Probate litigation attorneys help in legal battles surrounding people who are still alive with issues such as guardianships and conservatorships, powers of attorney, patient advocate designations, as well as living wills. In addition, probate litigation lawyers help with issues when someone has passed on, such as estates, asset disputes, trusts, wills, joint bank accounts, gifts, and pretty much anything else a family may be feuding about when someone has died. These types of lawyers work a lot to help families who are trying to protect a loved one and their assets and to recover property. They assist in the preparation and filing of documents required in a probate court. They can also help clear up confusion regarding income taxes and the deceased and being able to retitle the assets of the deceased to their rightful beneficiaries. If someone you love has passed away and you need help with their estate, it may be helpful to hire a probate attorney. These types of attorneys can come alongside you and help sort out the confusion or disagreements between family members. They can fight to protect the assets of your loved one and make sure that property is legally distributed to its rightful beneficiaries. Probate courts are responsible for overseeing the probate process, mainly to include paying any debts that are owed at the time of death and sorting out whatever is leftover among beneficiaries. Probate courts are state courts and not federal courts. This means the probate process and requirements can vary from one state to the next. A probate lawyer is familiar with the requirements and can help prepare for a future death, or deal with one that has already happened. You can also make your own death easier on your loved ones by creating a last will and testament with a probate lawyer. Working with a probate attorney can create peace of mind for you and your family, whether you have recently experienced a death in the family, or are planning for your own eventual death. Children, the elderly and disabled people, who may not be in a position to take care of themselves, need to be taken care of by people who possess adequate physical, expertise, mental and economic resources. Guardianship is a legal status that allows able-bodied people to take care of people who cannot take care of themselves. Guardianship attorneys are legal professionals that can help people pursue a guardianship status. There are a lot of things that go into the filing, pursuit and awarding of guardianship. The status and interests of the wards (the people that need the care) must be established beyond reasonable doubt, and the ability of the guardians to take care of the wards must be verified. Expert guardianship lawyers must be in a position to handle each guardianship case, according to its uniqueness and complexity. 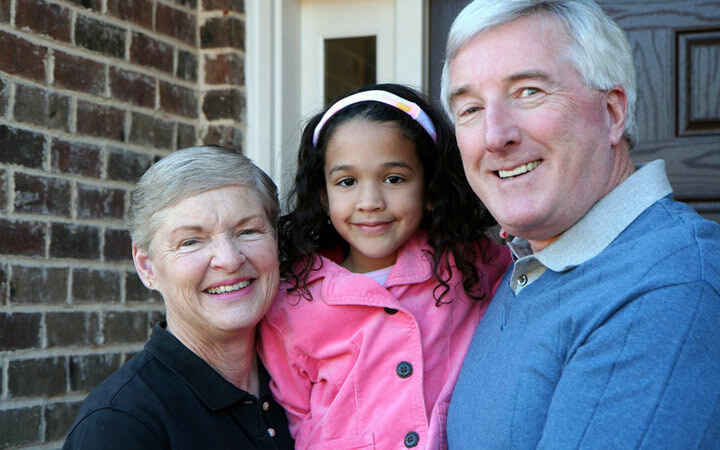 As such, the following factors should be addressed when looking for a guardianship attorney. The saying 'experience is the best teacher' stands true of expert guardianship attorneys. 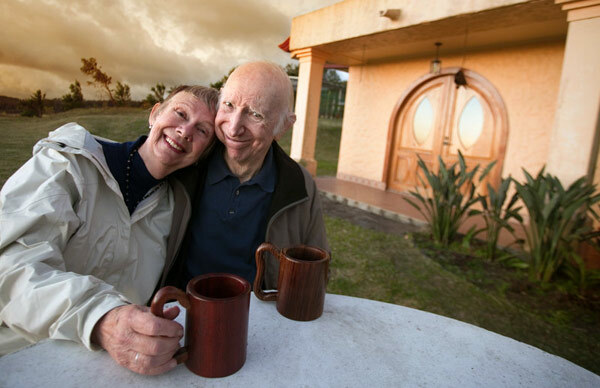 Lawyers who have handled numerous guardianship cases have advanced experience in dealing with similar cases, as with each case, they learn a thing or two about the best approach. However, it is important for people to note that experience is not the only determining factor here; formal education in this legal field is vital. Whenever possible, people should contract highly educated lawyers, possibly Bachelors, Masters or Ph.D. degree holders. Advanced education imparts additional legal knowledge on learners, and this knowledge enables these professionals understand international and or cross-border laws, hence address more complicated cases. Some states require their practitioner to have specific area-issued practicing licenses. Even the most educated, experienced and most reputable lawyer may not be in a position to handle a case whose jurisdiction he does not have the authority to practice. Potential customers should ensure that the contracted guardianship attorneys have valid practicing licenses. If and when the issue of a valid license is not addressed before the court hearings or case proceedings, opposing lawyers may spring it up, jeopardizing the progress and outcome of the guardianship case at hand. Whereas it may not always be possible to get award winning attorneys, people should do a thorough background check on their potential guardianship lawyers to establish their legal statuses and reputation. Ideal legal representatives should have a criminal free background. In the event of contested custody cases, especially where the ward owns significant wealth, opposing lawyers can use the guardianship lawyer's criminal and other bad reputation to damage the case. The above tips are helpful in finding the best attorney, but only if and when a person knows where to look. A long list of guardianship attorneys can be found on the Internet; a quick search on multiple search engines can yield the names, locations, addresses and terms of guardianship lawyers in one or multiple locations. Friends, family, colleagues and neighbors can also be an excellent source as they can recommend lawyers they know. Before contracting a guardianship attorney, the potential client should verify his/ her authenticity and legal status, and, then, get a quote and a signed contract. Many guardianship attorneys help people get legally approved to take care of people who cannot take care of themselves for one reason or another. The most appropriate attorneys should be well educated and experienced, have a positive reputation and be in possession of a valid practicing license. Multiple platforms can generate massive names of available lawyers in an area, from where clients can shortlist several and contact them. Visit http://seniorcentral.jimdo.com/2015/06/29/special-needs-trusts-financial-coverage-when-you-need-it-most/ to learn about Special Needs Trusts. Estate planning is one activity that seems to be studiously avoided by the vast majority of people. Some don't want to consider their own mortality, while others are simply afraid of the mess that they might leave when they pass on. While there are options available for those who want to plan their estates alone, those who are actually concerned about what happens to their family and property after they are gone visit estate planning attorneys. If you are looking to visit such a professional, you will need to make sure that he or she has the qualities that denote a trusted professional. A good estate administration attorney is easy to differentiate from many of his or her peers simply because he or she has worked in the field for a significant period of time. Does this mean that anyone who has practiced in the field for many years is necessarily a good attorney? Of course not. It does, however, mean that the lawyer should have picked up quite a bit of the inner workings of estate law over the years. Simply having exposure to all of the different planning instruments and the issues into which clients can run can make a huge difference in the efficacy of an attorney. There is nothing wrong with working with a younger lawyer, of course, but experience can be a valuable tool. Estate planning is, by its very nature, a sensitive subject. When one is talking about the end of one's life, it is only natural that emotions will run high. The best estate attorneys are those who understand the human side of the law, and can work with their clients to put together an estate solution that satisfies the client's emotional needs as well as the legal necessities. Great estate planners don't mind working with clients who have unusual requests, nor do they take it personally when their clients are not immediately willing to follow their advice. Great attorneys understand the human factor, and work to make sure that it can fit within the confines of the law. Reputation is everything in the world of the law. 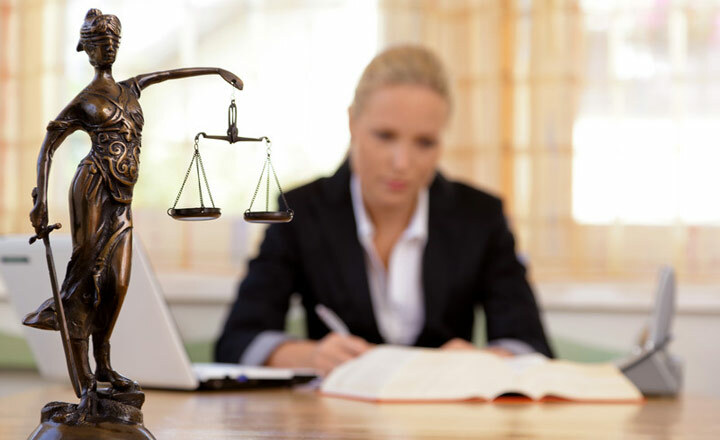 While the law certainly does apply to everyone equally, there are certain things that are more easily done by a lawyer who is well-regarded within the community. Good lawyers know the right people to talk to in order to solve minor problems, are in good standing with the court so that they can work with the clients' timetables, and have contacts in other professions that can help their clients with the other financial aspects of planning an estate. A good lawyer is a person who knows the value of working within the system, and thus can leverage his or her relationships to help his or her clients. There are many estate planning attorneys out there, and it is up to you to find one who can help you to adequately prepare your estate. Make sure that you take the time to find someone who is well-connected in the profession, has years of experience, and is willing to work with you as a person rather than as just another client. Once you find a lawyer who can satisfy all of those qualities, you should be able to feel comfortable moving forward with your plans. What Are Estate Administration Attorneys? Estate administration attorneys are responsible for distributing and maintaining assets of individuals who have recently died. These professionals are guided by either state laws or the will of the deceased in regards to how the assets should be distributed. The estate administration process typically begins whenever the decedent passes away. After the death, the executor or other family member will open the estate of the deceased. This occurs by filing an official document with the court system. After the document is processed, the court will then appoint an administrator for the estate, which is typically an attorney. This individual then becomes responsible for the deceased individual's estate; and for the administration of the estate and any assets or accounts that the deceased left behind. The duties of the estate attorney will vary depending on what type of assets the deceased has left behind. Typically, this includes defending the deceased against lawsuits, dealing with creditors, managing the estate and assets, and identifying and locating the beneficiaries that are listed on the will of the deceased. The estate administrator is only able to pay debts or taxes to the government and creditors using the assets of the estate. It is possible for an estate administrator to be removed from the responsibility of administration of the estate due to the following reasons: embezzlement, neglect of the estate, inability to execute his or her duties, and the individual presenting some type of threat to the estate. For this reason, it is important to hire a professional estate attorney so that these unfortunate circumstances can be avoided. Estate administration attorneys are excellent resources that can be utilized to assist with legal questions, concerns, or issues that may arise while dealing with administration of a deceased individual's estate. These attorneys can assist with petitioning to remove an estate executor, changing who holds the power of attorney, and much more. In most situations, estate administration attorneys are responsible for obtaining the deceased individual's will and ensuring that the executor follows all the wishes outlined in the will. This includes ensuring that the beneficiaries all receive the assets, accounts, property, items, or monetary amounts that they are legally entitled to. The attorney is also responsible for following through on any other requests the deceased has made in his or her will. If there was no will created before the individual passed away, the estate attorney will be responsible for guiding the deceased's family or beneficiaries in the proper procedures. Because the attorney will be knowledgeable in the state laws regarding estates, this professional will become a valuable resource. It is important to adhere to the state estate laws in the event there is no will because the laws outline the proper procedures that should be followed. Because wills can sometimes be quite complex, the family or beneficiaries of the deceased may begin to feel overwhelmed or unsure of what the next step they need to take is. Estate attorneys are capable of guiding you in the right direction, relieving your stress, and even handling the administration of the estate for you. Each individual should assess his or her situation to determine if hiring an estate attorney would be the appropriate decision for his or her family in their unfortunate time of need and confusion. RELATED: Read about the responsibilities and duties of probate estate administrators.